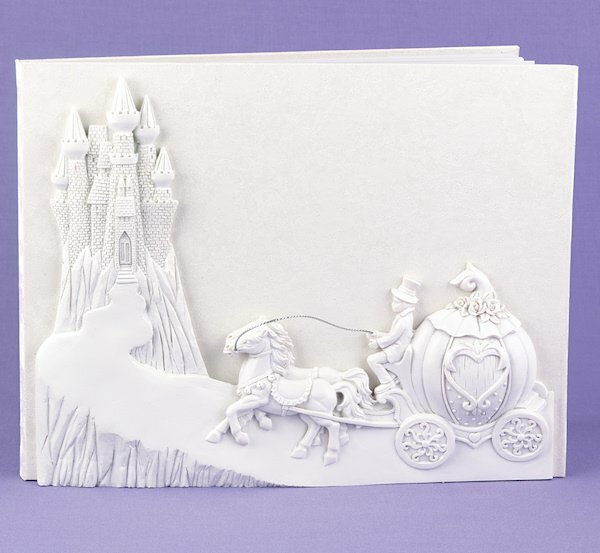 Once upon a time...there was a fairytale Cinderella wedding guest book fit for a princess! This 9-3/4" by 7-5/8" pearlescent guest book is accented with a dimensional resin horse and carriage ornament plus the castle on a hill. 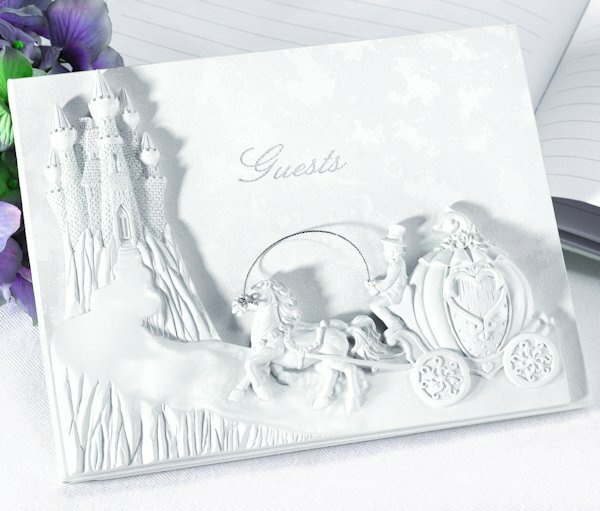 Our striking guest book will set the tone for your wedding or special event right away when the guests sign in. Magically, the fairytale album has room for over 800 signatures. Let the guest book tell the story.